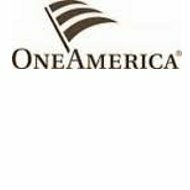 American United Life Insurance Company is a subsidiary of OneAmerica Group. This is a company that sells life insurance products. As you may have guessed, this is a company that does not sell health insurance products. Enter your zip code below to get your free online health insurance quotes today! The products they sell are sold for individuals, for business and their employees, and for financial professionals. All of the products that they sell are easy to find on their website and are clearly explained in language designed for their target. For example, for individuals, the information provided is described in laymen’s terms so that it is easy to understand for someone who potentially doesn’t know what each product is and what it is for. Conversely, the information for financial professionals is described in a way that they can understand and in terms that they would use on a regular basis. The first company in the American United family was founded in 1877. Over the years, the company has changed names several times, acquired other companies, and has grown considerably. The name of the parent company for American United Life and OneAmerica Group is American United Mutual Insurance Holding Company. AUL Reinsurance Management Services, LLC. In addition, the website does not provide a contact phone number so that you can call them; however, we did find this number on the AM Best website, 317-285-1877 that is listed as the phone number for American United. American United products are available in all 50 states. The agents for this company are independent agents. American United does provide an agent finding tool, which they call and AUL Professional tool. Although American United products are available in all 50 states, they do not have agents in all 50 states and in some states, they only have one office, which makes it difficult for everyone who wants to purchase their products to meet with someone locally. You can search for jobs by post date, by title, by city location or by state. We found some reviews from current and former employers of American United and the overall consensus is that this is a good company to work for with excellent pay and benefits for their employees. The only more common complaint was that it is difficult to move up in the company. American United does not provide any way for you to file a claim online. If you have a claim then you will need to contact the agent who sold you the products that you have purchased. We were hard pressed to find any relevant reviews regarding American United. They do have a Better Business Bureau rating of A+, however, this rating is the result of having no data regarding the company and zero complaints. This is a good and a bad thing as not everybody reports to the BBB, so it is difficult to determine if the ratings have any real relevance. You cannot get quotes for any of American United’s products online. The downside to this is that American United doesn’t have agents in every state. Having an online option would make it much easier for you to get a quote for the products that you want in the absence of an in person agent. As American United doesn’t have any health insurance products, they aren’t going to be where you look for your health insurance needs regardless. Enter your zip code below and compare rates from great health insurance companies and find the insurance you need at the most affordable rates!